The store is open today. Parking in the garage is the best option (unless full). There is still a parking ban. So if you come in put on your hazards lights and park right out front. Closed due to the Blizzard! We hope everyone is staying warm this winter. So far we have been pretty lucky as far as snow storms go(shouldn’t have opened my big mouth yet). 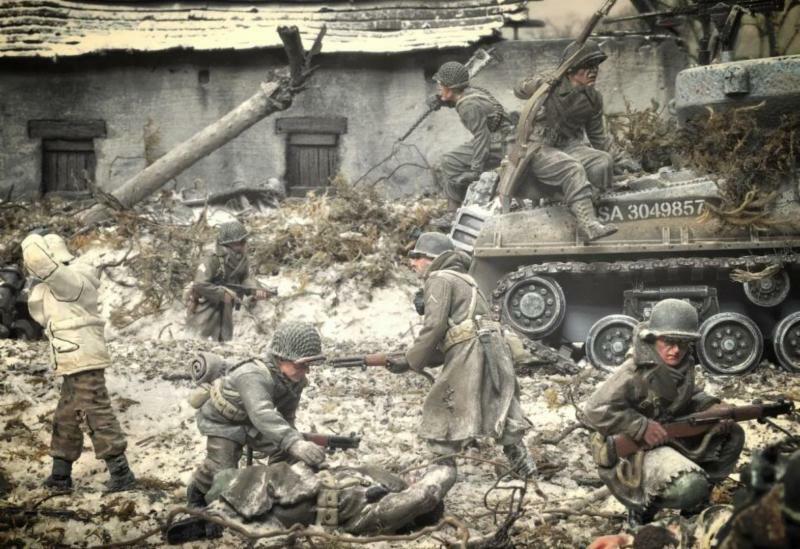 Speaking of winter, the above photo shows another great diorama by Alex Credidio. He is using mostly King & Country Battle of the Bulge figures and a Collector’s Showcase Sherman tank. We have updated the Spring Events “show list” so check it out to see if we will be in your area. The gaming area was packed this past weekend with a group of historical gamers, about 15 Magic players for the Pre-release and nearly 20 guys for the Warmachine Tournament plus a few other pick up games. 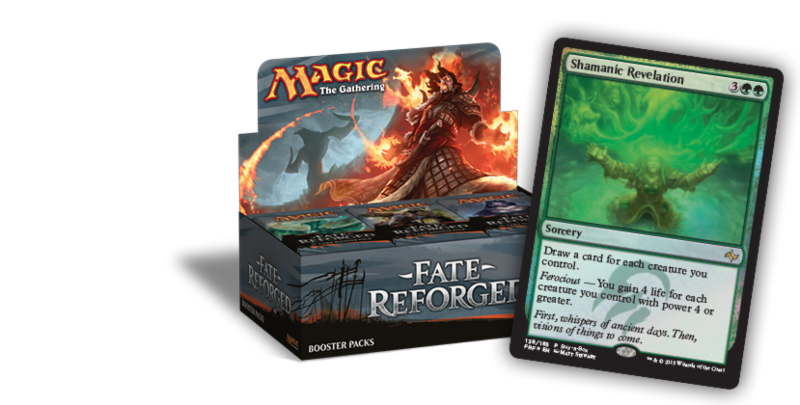 We will have the new Magic the Gathering release(Fate Reforged) in stock for Friday’s sale date along with the new D&D Attack Wing wave, plus many other new games and re-stocks have arrived. We also got a huge restock from Warlord Games including many new items along with a few hundred new Osprey books This week on the hobby front we received a great selection of “Gundam” paint Markers, New Sci-fi and Super Hero kits from Moebius and AM, New 1/35 Scale WWII kits as well as nice re-stock of most of our paint lines. So what are we saying? We have created a hobby Mecca in the heart of Malden so come down and grab a shopping basket! New Thomas Gunn Miniatures and John Jenkins Designs toy soldiers were recently added to our site as well as a bunch of plastic figures to the -Rare & Retired and “Russian made Toys” sections. Congrats to the Patriots! “Deflated” balls won’t steer me away! As always any feedback of ways we can improve are always welcomed. 1. East of India – the entire inventory is on sale! 2. Conte Collectibles – Huge sale on metal sets! 4. Orion and Valiant Miniatures, Red Box, Lucky Toy and Strelets 1/72 Scale Boxed sets. 5. Thomas Gunn and Collector’s Showcase to “SALE” and -Super Sale Sections – 1/13 Sale is almost over! Thomas Gunn Miniatures – January Releases announced.We will have up on site shortly. W.Britain – New 2015 items are up for pre-order! King and Country – January Releases are up for order. The Battle of the Bulge sets look like great additions to the range. Classic Toy Soldiers –Nothing new – just an update that CTS175A German Artillery will be back in the end of February (several of you have recently ordered them). On Saturday January 17th we had a great turn out for the Tournament. Thanks to all that attended. The Holidays are over! Time to dive back into your hobby. We have a few quick notes today. We have begun updating the events page with all the spring shows we will be attending. The gaming area has been hopping lately with big crowds on Saturdays and Thursday nights. Guys have been playing all kinds of games from board games, Magic, Marvel Dice Masters, Attack Wing, Bolt Action, Hail Caesar, Warmachine, 40K, DBA and more! Come down and get in a game. We just received emails from Thomas Gunn Miniatures and John Jenkins Designs about upcoming toy soldier releases which we will have up for pre-order later in the week. We have also updated East of India and Conte Collectibles and are currently having a big sale on the two lines. We will be open this Monday January 18th 10AM-6PM. 1. East of India – the entire inventory is on sale! Sorry the sale shows black, click on product to see savings. John Jenkins Designs – December Releases now in stock. January Releases announced, working on the list. We have over 20 rare WWII sets now listed at fair prices and they are going fast! One of the sets for sale….